Hello, Gorgeous! : Flourish Boutique Giveaway!! Today is just a *little* bit more special than just any old day to me because it's MY BIRTHDAY!! And I'd love to celebrate it with all of you Lovelies by doing an amahhhhzing giveaway from the always fabulous Flourish Boutique! Some of you may be familiar with Flourish. You know that gorgeous green chevron dress that so many of you have inquired about? It's from Flourish. And this incredible sequined chevron mini skirt that I wore to a girl's night out last week? Flourish, again! How fab is this chevron mini-skirt c/o Flourish Boutique ?! Girls, this boutique is the real deal! Their pieces are so divine that when I walked into their store a couple of months ago, I was totally floored. And I just have to mention that I literally drool every time I open up their website (they sell on-line, too!). So, let's celebrate my birthday, shall we?! 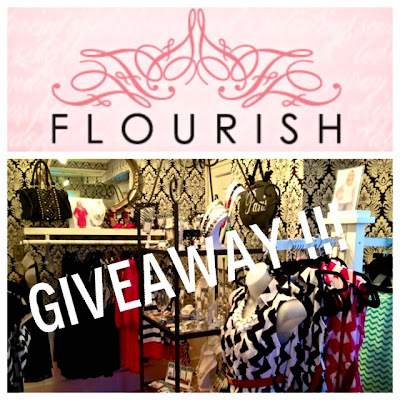 To enter, use the Rafflecopter app below to enter to win a $50 Gift Card to Flourish Boutique. Thanks for the amazing giveaway, Flourish!! The small print: Giveaway ends on Wednesday August 7th and open to U.S. residents only. Loving the skirt! So pretty! 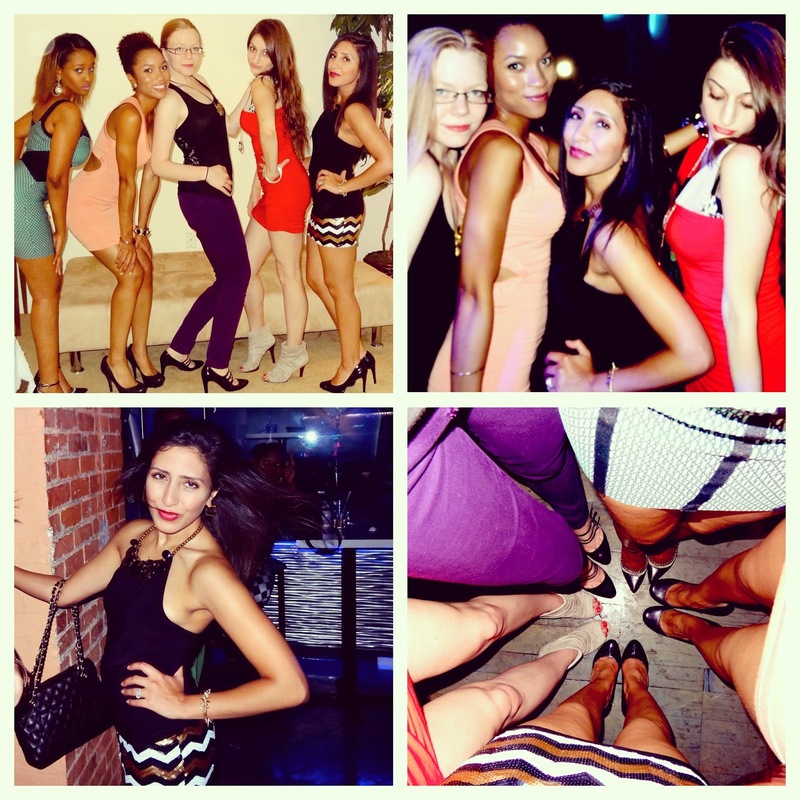 HAPPY BIRTHDAY Yasi!! Hope your day was amazing! I love the Perfectly Poised Dress...the perfect backdrop to many accessories! Everything is Better With a Bow Maxi! Happy happy birthday!!! Hope you celebrated in style! I like some of the accessories at Florish...the pink beaded necklace and the pave black diamond ring are amazing! I love love love flourish dresses. Happy Birthday Lady! Thank you for the opportunity to win this! I would LOVE to win this! I love Flourish and I'm constantly telling people about it. It's nice to see people loving it as well! I'd spend mine on the cheveron in the city dress!! I would love the central park jacket!!!! I would love to have the perfectly poised dress! it is adorable and just my style! Happy Birthday! I love the Uncharted Chevron Dress! I love it! They have so many fabulous pieces of clothing! I love that chevron dress! Happy Birthday! I Would Love Love The New Fall Chevron Dress! Happy Birthday!! I would love to have any one of the dresses from Flourish Boutique, they are all so pretty! I would get the Loving Lace Shorts in Black. Uncharded chevron dress, love it!!! Absolutely I would LOVE the green chevron dress, or the sequined black tank. I'd love the Country Club Cutie Dress. Thanks for hosting this giveaway!!!! central park jacket is talking to me! Thanks for the giveaway! Great giveaway! I adore the Neon Artifacts Top! I love the Classic Shift Dress! I love the Central Park jacket and the Touch of Autumn Chevron dress! I love the Central Park Jacket! LOVE the Coastal Chic Dress! Something, anything with Chevrons!! I currently have nothing with that print and clearly need some. Happy B Day!! I like the mirror image dress! I don't know what I would get...I like so much! I love love cute clothes from boutiques!! ALL of the dresses. And the join the crew necklace! Love this giveaway Yasi! 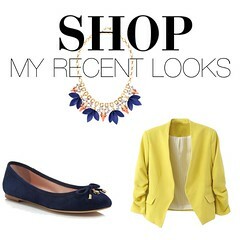 Keep sharing your fashion finds and shops with us! Oh, Happy Birthday Darlin'! Mine is on Wednesday! I like the classic shift dress. It would be great for day wear or church! What a great store! It's so hard to decide which item is my favorite but I am hands down in love with all of the scarves! TOO CUTE! I love the tailgate romper. I've always been a little afraid to try one, why not start now? Hard to choose--black and white chevron top, Navajo top, black seamless top, scarf....so many to choose from! the jaded chevron maxi is so cute! haha this boutique is right by my school! Small world! I would get one of their cute tops if I won the $50! Happy Birthday!!! Love the skirt! When I looked at their facebook page, I realized I have driven by this often when visiting my grandma and always wondered what it was like! I love all of these. The skirt is so pretty. I really like the Mint Teardrop Top. Happy birthday!